3.The temperatures of glue groove and roller are independently controlled. The temperature can be adjusted according to the features of hot melt adhesive to prevent carbonization of glue. 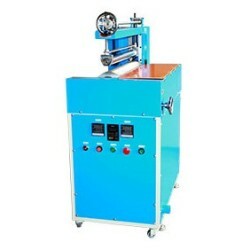 4.The machine is equipped with blower for air inlet and exhaust, able to reduce the smell and smoke. 5.The motor is provided with inverter controller. The rotation speed of gluing can be adjusted as required. *The company reserves the right to change specifications and dimensions without further notice.